There are only a few men in the world who can out-sprint Peter Sagan, and they are not in Colorado this week. 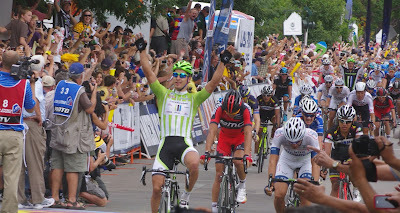 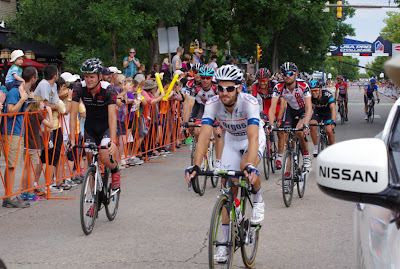 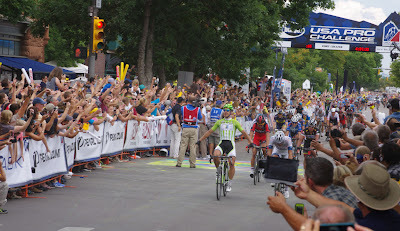 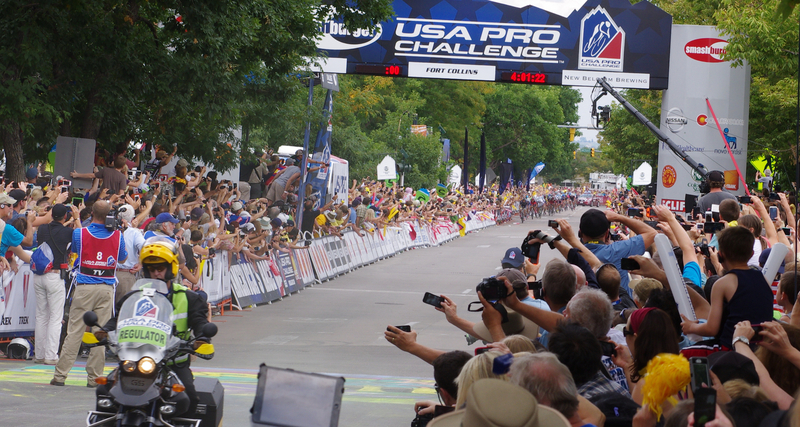 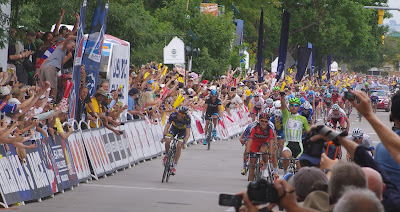 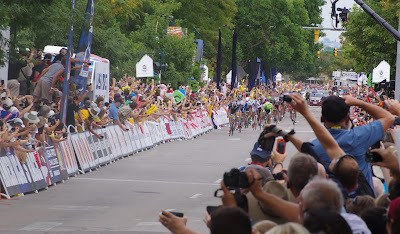 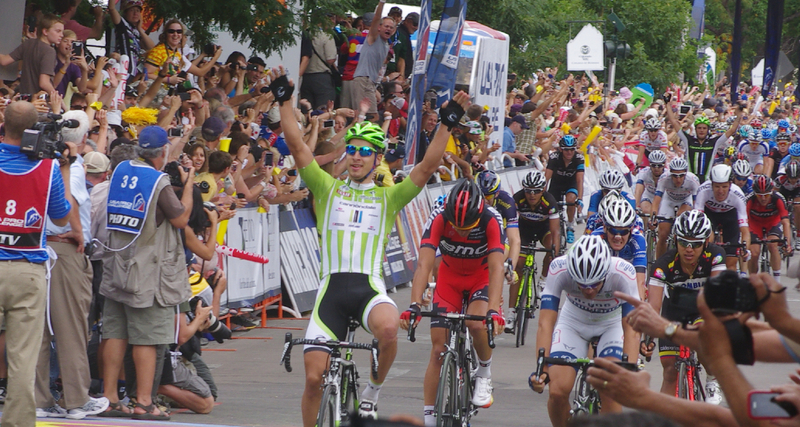 Instead Peter Sagan sprinted to his third stage win today at the 2013 USA Pro Challenge in Fort Collins. 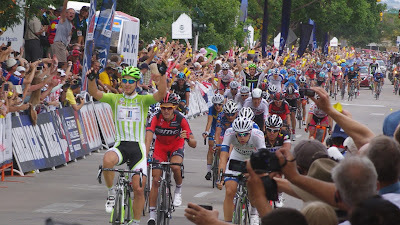 Every time Peter has won a stage this year he has eagerly stepped onto the podium genuinely delighted to again be accepting an award. 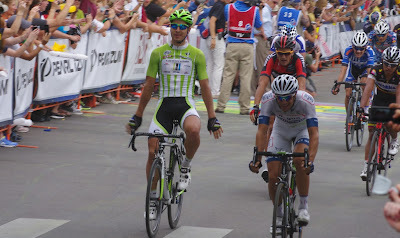 Happily thrusting his arms through the long sleeves of the green jersey, he smiles with true delight. It is never a given to win a bike race. He is truly happy to be winning here and does not take it for granted. 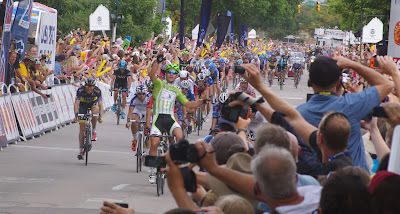 As thrilling as it is to watch the power of Peter Sagan in a full-out sprint, it is equally as nice to watch this young rider graciously accept another deserved stage win. 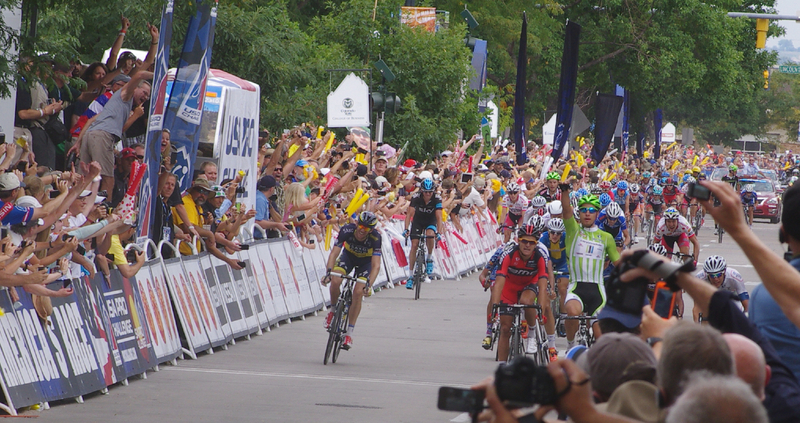 He has now won half the stages of the tour. 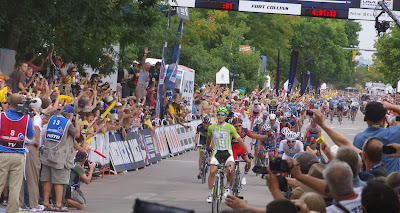 The crowds in Fort Collins were perhaps the largest I have ever seen at either the Tour of California or the USA Pro Challenge, and so the photos below include the fans, because the roar and excitement today as Peter Sagan took the sprint win was a crowd experience - the massive number of fans created the atmosphere today. 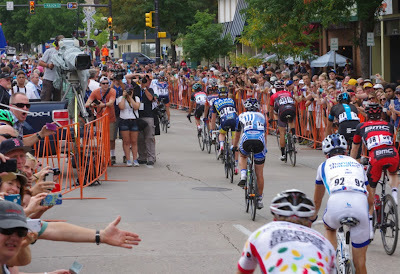 In the audience you can pick out faces of fans, young and old, even Race Director Jim Birrell (to the left by the banner) appears as thrilled as any other fan out there watching a true master of the sprint in action. I was standing precariously perched on top of a large water barrel well behind the finish line, because although I have spent nearly 350 hours this year voluntarily writing about this particular race, I didn't get the luxury of having a photo vest. No matter, I was helped onto my birds-eye perch by fellow media mogul Chuck of Topline Magazine (please read his coverage). 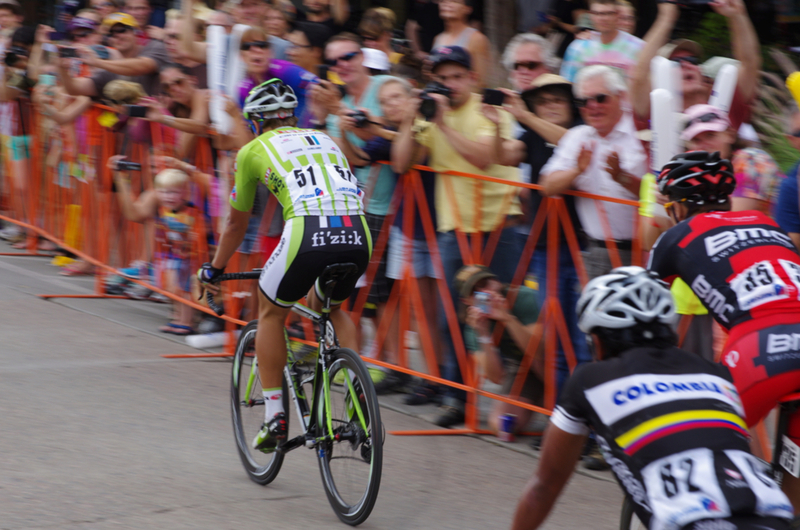 The view was amazing, although I gotta say ipads at bike races are really obnoxious.